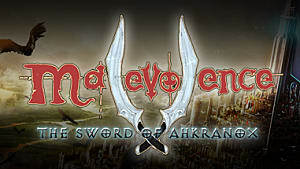 Malevolence: The Sword of Ahkranox is a procedurally generated old-school turn-based RPG similar to classics titles such as the Might and Magic series and Stonekeep. 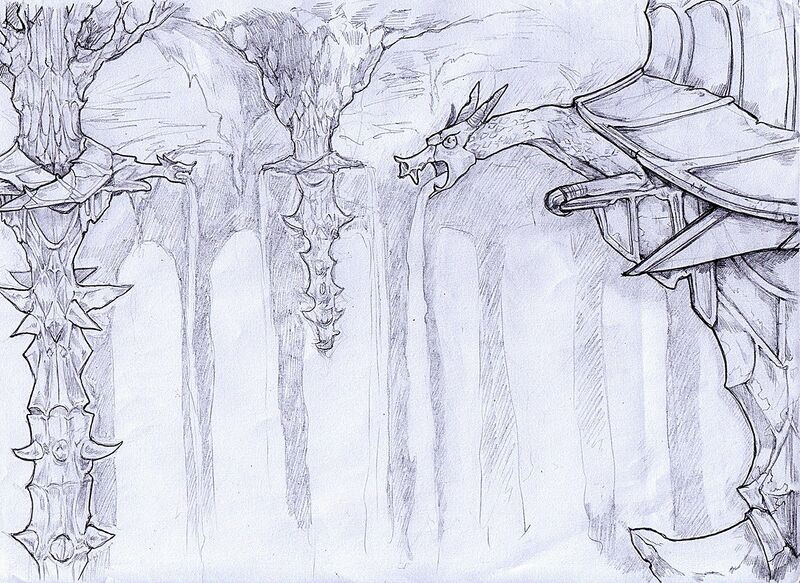 Players take on the role of the Guardian of Ahkranox, whose purpose is to rid the world of Ahkranox from evil. On their journey, the player must embark on quests, delve into various dungeons and defeat the evil monsters that lurk within them. The game contains a classless system that allows the player to play however they please. If they wish to change their play style throughout, they can at any time. This week we got the opportunity to interview indie developer Alex Norton about planned expansion for his indie title Malevolence: The Sword of Ahkranox. We discuss all the new features that will be included in the expansion, how long he aims for the storyline to be, and more. Damien Smith: What new adventures will the underground cities of the Dwarves and their sewers bring to Malevolence? Alex Norton: I'm really hoping to help expand the sense of scale of the game. I honestly thought that the whole infinite world thing would be a big selling point for the game, but it turned out not to be. A big part of that is due to the lack of environmental variance, so hopefully by adding in these new environments it changes things up a little. 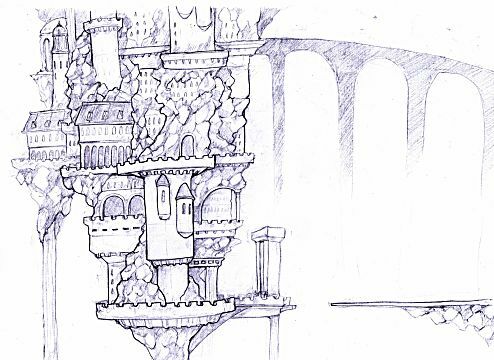 The underground cities are actually going to be suspended around giant stalactites in massive underground caverns, hanging above a dark abyss, which should help show people that the world that they are in is truly epic in scale, both above and below ground. The sewers will be filled with all kinds of problems, from the thieves guild members to creatures and lots of other things which will require the player to go down there to complete quests. It'll be a nice change to have towns be more than just a re-stocking port! 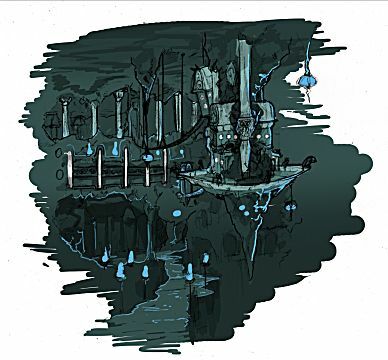 DS: One of the biggest features you have teased for the expansion is the Hell Dimension. What will it entail? AN: I like to joke that only someone as cheeky as me would opt to make an infinite world bigger. The hell dimension will exist deep underground - even deeper than the Dwarven cities -- and they will be filled with unspeakable horrors waiting for the player. 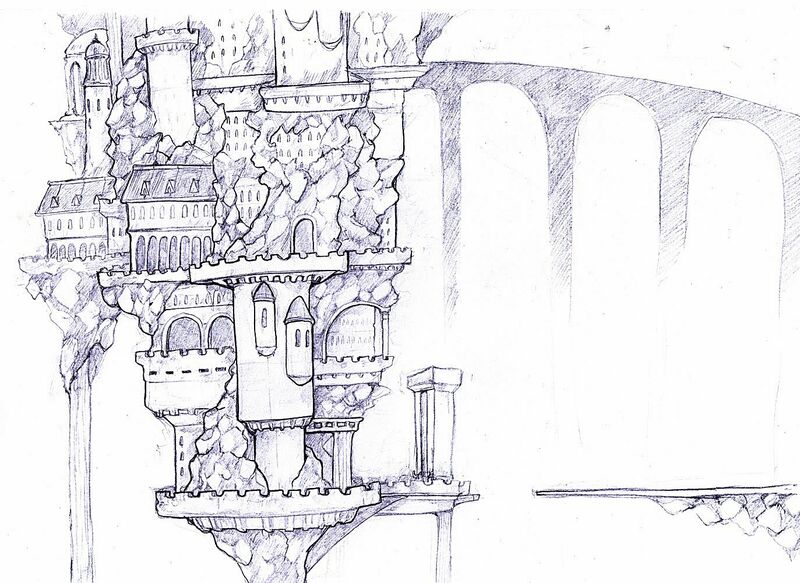 I don't want to give too much away for the upcoming story, but the reason Ahkranox exists at all will be revealed to the player by going down there. The player's journeys down there will be hellishly difficult, and only the mightiest of them will actually survive their trips down there, but the rewards will be well worth the journey. DS: You are planning on introducing new weapon and armor types such as staves and shields. Will they have added bonuses such as extra magic damage for spellcasters and the like? AN: Bonuses and detriments, yes. Mage characters will be able to focus their magical powers through their staves, as well as craft enchantments into them to become deadly forces on their own. Shields will inhibit magic, but be very beneficial for melee warriors. There will also be a few other new classes of weapon, such as two-handed weaponry (halberds, spears, etc) as well as new ranged weapons, such as crossbows. In the base game, I tried to steer people away from class distinctions for their characters, but the gameplay of the expansion is going to be so difficult that people are really going to need to pick an area of expertise and hone it to perfection if they hope to survive. DS: A large new roster of monsters are another of the expansions primary features. What new monsters can players expect to encounter? AN: Quite a few. Some of my favourites include the Banshee, whose wail can affect you so long as you can hear it - so even if the monster itself isn't visible to you. Succubi who will tease you with sweet nothings from inside the darkness, and lure you with their naked forms into the shadows where they turn into horrifying demons and try to tear you apart, and one of my favourites will be the Wights, who are devastatingly powerful magic users on their own, but are hard to actually REACH in combat as they have the ability to summon skeletal minions to fight their battles for them. Of course, there will also be a range of fairly standard monsters such as giant spiders, dark dwarves, dokkalfar (night elves), enchantresses and human rogues who all want to kill you, too. 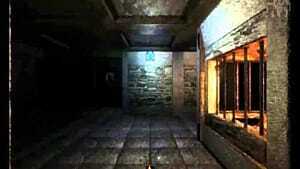 The real surprise will be some of the horrifying creatures awaiting the player in the hell dimension. I'm planning on keeping a bit of a lid on that secret, though, until closer the time. I can tell you that the 3D models and sounds for these monsters are all actually completed already, and they are going to be a LOT of fun to take on. DS: What new quest types will the expansion introduce? AN: The expansion will - for the first time in the game - introduce a storyline, and so the new quest system will comprise of hand-written story quests. 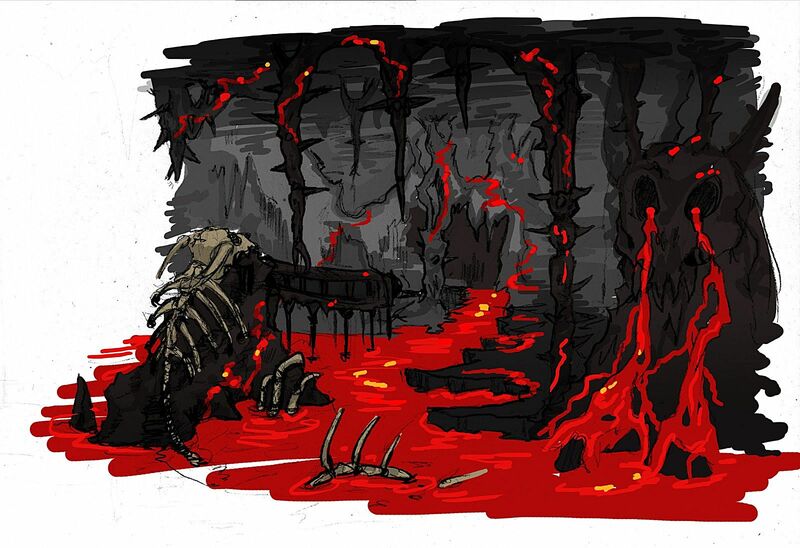 In addition to that, there will also be some new procedural standard quests which lead the player into the new environments in the game, such as harvesting unique flora from hell, or retrieving items stolen by the Thieves Guild and taken into the sewer system. DS: While the magic system of Malevolence already allows for practically infinite kinds of spells, will there be any new spell types for the expansion? AN: Actually yes. There will be new spell crystal types, as well as 9 slot spell discs, for those truly epic spells! DS: In our previous interview, you talked about wanting the expansion's story to be a decent length. How long are you aiming for it to be? AN: I'd love it to end up being around 60-80 hours of gameplay, but to be honest it's just speculation at this point. I know precisely what the story is and what it entails, but I want to see how much gameplay I can milk out of it. Anyone who plays regularly knows that Malevolence isn't a game one can play quickly. You have to be patient and take your time if you hope to survive. Given that the expansion is going to make the game much more difficult and involved, that may mean that the story ends up giving players a HUGE amount of custom-built gameplay. I'm at least hoping so. Unfortunately, it's just too early to tell at this point. The only thing I can guarantee is that it's going to be as much as I can make it without drawing it out to the point of being boring. DS: Will there be any new online functionality added with the expansion? AN: Yep! The biggest addition will probably be the thievery mechanic which is coming into play. This will not only allow you to pickpocket people but also break into people's homes (which you currently see in the base game) and snoop around. This will also lead to more quest types specifically for thieves. 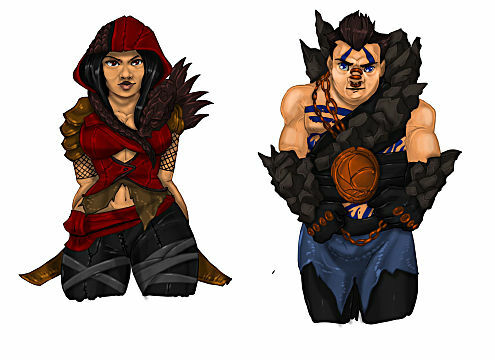 There'll be new player characters... Shields will also be new, as well as dual wield weaponry. Another fun little thing which is being added is fishing, which will go hand-in-hand with sea travel, which will help players traverse the large oceans in the game. The 3D models for the ships and docks are already built and they look great. You can actually get a brief glimpse of one in the game's original trailer. DS: Will the expansion be implemented in installations like you have been throughout the main game's development? AN: To be honest I haven't decided that yet. I honestly have had a bit of a rough experience with this whole early access thing, so I may just maintain an internal test team for it and release a final, finished product at the end of it. Honestly, the most difficult thing with the expansion I think will be convincing people that it won't take as long as the base game did. A lot of the work has already been done on it. So to answer the question I'd just leave it at "I haven't decided yet". DS: While it is tough to estimate a release date due to how Malevolence works from a programming perspective, would you have any idea how long it would take for the expansion to be complete? AN: I'd say give it a year once the base game is done (which it very nearly is). I'd like to see it done in a year. The base game's development has been plagued with problems, but I'm really in a great place lately (as people have probably noticed with the regular updates) and a HUGE amount of the expansion's work has already been completed (or at the very least started). So don't hold me to it, but I'd like to say about a year. 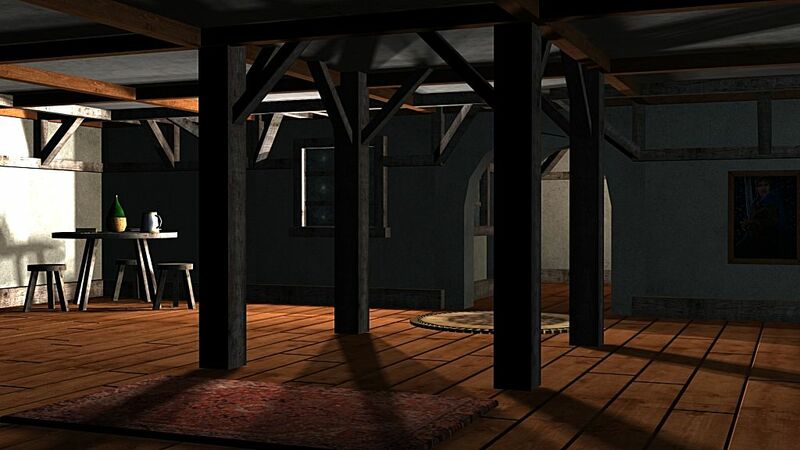 The expansion for Malevolence is looking to add a whole new array of new and exciting content. With completely new environments, playable characters, quests and much more, there is a lot for fans of the game to get excited about. GameSkinny wishes Alex the best of luck with the very soon V1.0 release of Malevolence along with a very exciting expansion that is still to come. If you would like to find out more about Malevolence: The Sword of Ahkranox you can check out the Steam store page and the official Malevolence forums. Image Source: All images were provided by Alex Norton for the purpose of this interview.